There may be reason for new optimism among multiple sclerosis (MS) patients and the doctors who treat them. Clinical trials on a promising new drug have shown good results, according to researchers writing up their findings in the New England Journal of Medicine. The drug is ocrelizumab, which researchers say is the first drug that appears to work against the primary progressive form of MS.
MS is a degenerative disease that attacks the protective lining of nerve cells in the brain. Over time the patient has difficulty walking. MS is categorized as either “primary progressive,” meaning it steadily gets worse, or “relapsing,” in which the patient is subject to periodic setbacks. In the trial, researchers report that the percentage of patients whose condition got worse after 12 weeks after taking ocrelizumab was 32.9%. But the percentage was higher – 39.3% – for patients who didn't get the drug. After 24 weeks, there were also fewer ocrelizumab recipients with worsening symptoms than placebo recipients. After 120 weeks, the difference was more pronounced. On a timed 25-foot walk, 38.9% of ocrelizumab patients performed worse than before, while more than 55% of placebo patients saw their progress go down. Earlier this week, the Food and Drug Administration (FDA) extended the review period of ocrelizumab for treatment of both forms of MS. According to the Multiple Sclerosis Association of America, the extension was necessary to give more time for the FDA to review data on the manufacturing process of this potential therapy. Ocrelizumab's function is to neutralize part of the immune system - called B cells. It is these B cells that attack and destroy the protecting coating around nerve cells, called myelin sheath. This is just the latest encouraging report from MS researchers, who have been making progress in recent years. In January, we reported on a small clinical trial at the Sheffield Royal Hallamshire Hospital in the UK. There, researchers used an existing cancer treatment to reverse MS symptoms in several patients. The therapy is called autologous haematopoietic stem cell transplant (HSCT). It uses chemotherapy to break down the weak immune system, then rebuilds it using stem cells that come from the patients blood. 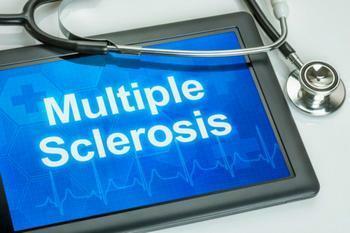 The key, researchers say, is the fact that the cells are so young they have not developed the flaws that appear in MS.